Pastor appreciation day provides an opportunity to take action to show our appreciation and support for our pastor. 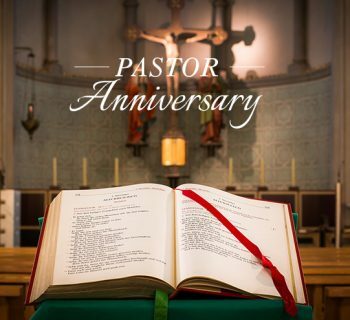 It would be a great encouragement for the pastors while they receive your thoughtful celebration ideas of Pastor Appreciation Day, that's the reason why we celebrate the Pastor Appreciation Day. Be creative in expressing pastor appreciation. Let these collected pastor appreciation ideas release your creativity in honoring your pastor. It is right time to plan some Pastor Appreciation Day activities to help pastors have wonderful holiday. In all of your activities, remember that Pastor Appreciation Day is not about glorifying a man or a woman. It is a Biblically consistent opportunity to recognize and encourage those whom God has called to proclaim his message and lead and lead His people. It is a time when the entire congregation can become unified in celebration of what God is doing in its midst. Perhaps some of the following celebration ideas may work for your congregation or may inspire you to create your own. Determine an appropriate level of involvement for your church. 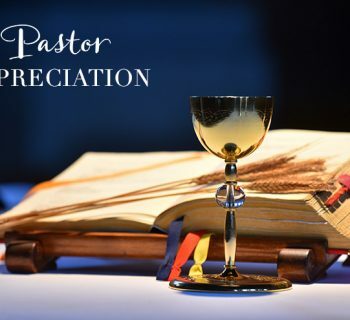 A pastor appreciation event could include a special welcome your clergy with slides, selected pastor appreciation poems, favorite songs, and a few testimonies by the children of your congregation. Hold a people-pleasing' pizza party. Plan an informal time of sharing and caring around lots and lots of pizza and pop. If your pastoral families love pizza, give them certificates to local pizza parlor to last throughout the year. Urge the Sunday school and other children's groups to make creative appreciation messages for the staff using construction paper and bright colors. Plan a tree or some shrubs in honour of your pastoral staff. Improve your pastor's working environment by upgrading or expanding his office or study, adding bookcases and file cabinets, or replacing out-of-date office equipment and furniture. Create a pastors' hall fame in your church with photos and memorabilia of your present and past ministers. 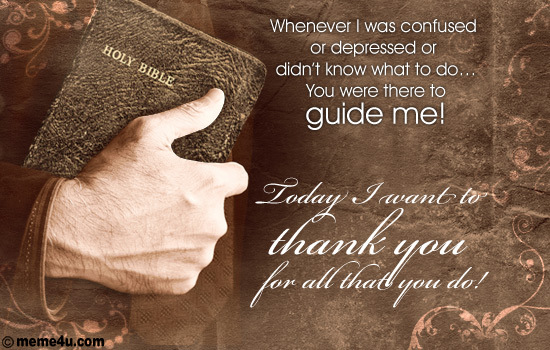 Genuine appreciation is much more than just scheduling pastor appreciation day activities, choosing appropriate pastor appreciation gifts will be also important way to express pastor appreciation and encouragement for our pastor. 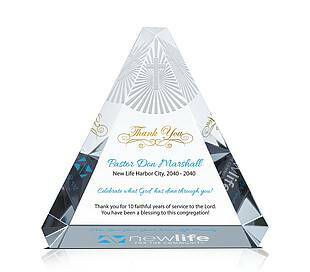 There are many types of thank you pastor tributes available this holiday season, including special pastor appreciation wording of encouragement for pastor, customizing personalized pastor gifts, explore pastor's family appreciation ideas to encourage pastor appreciation gift giving. Present your pastor with meaningful pastor appreciation gifts. Pastor gifts can given not only during pastor appreciation month but also throughout the year like the Father's Day, Parents' Day, Christmas Day, Pastor retirement etc. 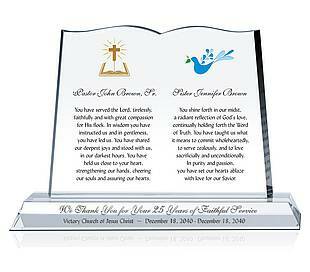 Contact a local company and order a small plaque for your pastor. Face it, are plastic and metal trophies or wooden plaques really what you want decorating your office? Of course, choose the crystal. Crystal plaques/awards have clear perfections and sparkling reflections that attract attention and says "You're special". It doesn't matter where they are displayed. As long as there is light, the crystal trophies will sparkle and attract attention. In another way, crystal is the symbol for "purity", "innocence" and "virginity" just the symbol of pastor's spirit and selfless contribution. Many kinds of online trophy stores like diyawards.com offers the DIY (Design It Yourself) service that you can design your own pastor appreciation plaque/award according to the tastes and interests of your pastor. 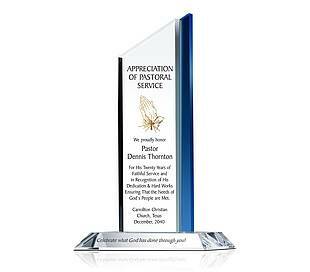 Don't forget engraved your pastor appreciation quotes or poems on the pastor tribute, they will highlight the crystal plaque/award. Pastor will know your appreciation and recognition while they read those appreciation wording. The engraving also be use to convey the warm personal wishes of pastor's family and friends who have come to share in the celebration. Surprise you pastor and spouse with a cruise or vacation package to special destination you've heard them talk about. Send the Pastor Appreciation Day gifts basket includes thoughtful gifts of pastor's kids and pastor's wife. Bless your pastor’s family all year round with a simple greeting card expressing these sentiments in your own words. Taking pastor’s children out with your kids and leave enough time for pastor and his wife. A pastor’s wife needs time alone with her husband. A walk in your woods with her husband.